The White House expects Jon Huntsman, the U.S. Ambassador to China, to resign his post this spring to explore a bid for the Republican presidential nomination, top Democrats said. GOP allies of Huntsman have already begun laying plans for a quick-start campaign should the former Utah governor decide to enter the ill-defined Republican field. While Huntsman has no direct involvement in it, a group of operatives that could eventually comprise his strategy team has set up an entity called “Horizon PAC” to serve as a placeholder for his political apparatus. President Obama was asked about rumors of Huntsman’s departure earlier this month at a joint press conference with Chinese President Hu Jintao, where Huntsman sat front row, center. “I couldn’t be happier with the ambassador’s service, and I’m sure he will be very successful in whatever endeavors he chooses in the future,” the president said. Politico reports that the White House is bracing itself for a potential breaking in the ranks should US Ambassador to China and former Utah Governor Jon Huntsman resign and decide to take on the President in 2012. But could they just be saving face? It could be that the optics of a member of the Obama team leaving to challenge him looks just too damaging – so they’re playing it off as if they expect. Who knows. For Mr. Obama, whose advisers already have their eyes set on his re-election in 2012, the selection of Mr. Huntsman is something of a political coup. He has emerged as one of the nation’s most visible Republican governors and was expected to at least consider seeking his party’s presidential nomination to run against Mr. Obama…. It was far from certain whether Mr. Huntsman would have actually sought the Republican presidential nomination – his centrist views could have created a challenge in early-voting states – but if he is confirmed by the Senate for the ambassadorship to China, he is part of the Obama team at a time when China is of critical importance. And he is out of the mix in the 2012 presidential race. “When the president of the United States asks you to step up and serve in a capacity like this, that to me is the end of the conversation and the beginning of the obligation to rise to the challenge,” said Mr. Huntsman, who was joined by his wife Mary Kaye, and the couple’s seven children, one of whom was adopted from China…. So everyone knew what was going on. It was hailed as a savvy plan. What now? The savviest people are the one who can outfox somebody else’s savvy plan. The White House strategists may have been too clever by half. 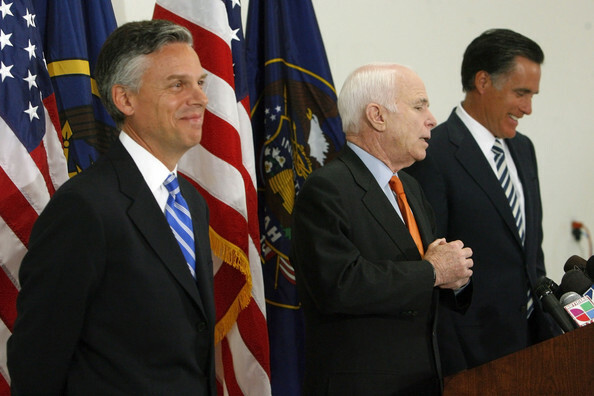 Few people had heard of Huntsman outside of Utah in 2009. While Huntsman had a good center-right record in the state, he had not done much to build himself into a national brand. Since then, the political winds have blown far more favorably to conservatives within the GOP, which may have left Huntsman on the outside in any case. Now Hunstman has a much higher profile than he may otherwise have attained. In fact, they may have done themselves more damage than good. Putting Huntsman in China would give him more credibility in foreign policy than just about any of the other presumed candidates in the GOP race except for John Bolton. Even if Huntsman doesn’t win the nomination, criticism of Obama’s “smart diplomacy” from within the fold — especially from the man who managed the key relationship with the nation that holds a large chunk of our debt — will do significant damage to Obama in a general election. This looks like an effort to push Huntsman into resigning as soon as possible. The sooner Huntsman leaves, the sooner the White House can blame him for the failures in the US-China relationship over the last two years. When the reports first came up, I laughed them off. But it’s striking now that Huntsman has failed to do the same. What I’d like to see — for the nation’s interest, and (in my view, but what do I know?) for Huntsman’s — is for him clearly to put them to rest. Says that of course he’s a Republican, and of course he’ll support the GOP ticket in 2012. But he’s doing the nation’s business now in Beijing, and doesn’t want to complicate that with all this political gossip. To me as armchair strategist, staying out of the 2012 fray would seem to save him a lot of heartache. Avoiding a primary fight in this bitter season, when he’s fresh off Team Obama; and, if he survived that, avoiding a general election battle when — one assumes — the economic cycle should be improving. If that economic assumption is wrong, everything else changes. But if that were the case and Obama seemed gravely weakened, I am not sure that makes a moderate, rather than a red-meat conservative, the most likely Republican candidate. If Huntsman can’t say that, how can he stay? How is the Administration supposed to view the cables they get from him these “next few months”? Or the talks they have with him about Chinese policy on North Korea, the RMB, trade? It would be nice to hear Huntsman himself say, “This is all very flattering, and at the right time, but for now, we have important business here in China….” Just a thought.